I cannot help it, but it somehow cheers me up. 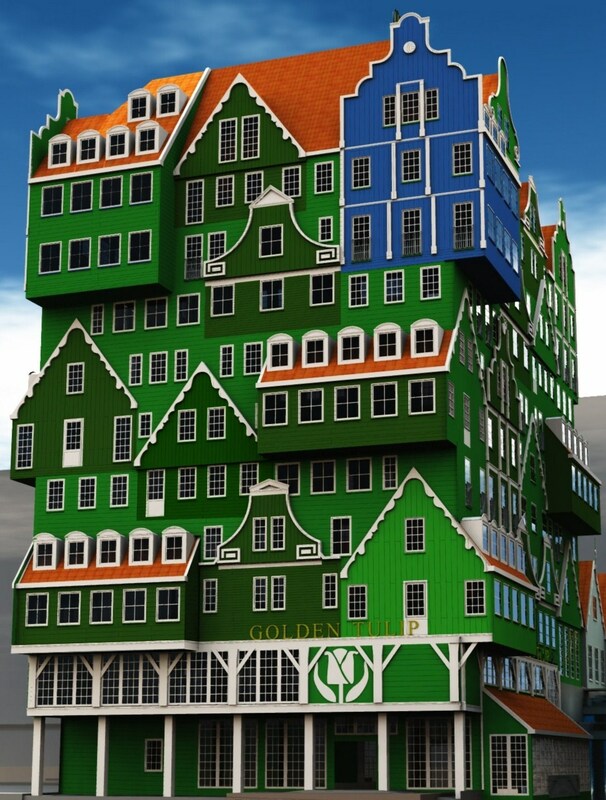 Those Zaan-style baroque façades, stacked up high in the air as the decoration of new buildings erected in the center of Zaandam. They are part of the plan by architect Sjoerd Soeters for a new urban center around the railwaystation. I am very much aware of the aesthetical incorrectness of my cheerfulness. 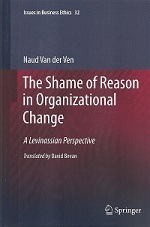 As sociologist Abram de Swaan recently stated, since the beginning of the twentieth century we live under the regime of functionalist building. For social and technical reasons (the need and possibility of mass construction) we banned decorations on and in buildings and we focused on a new standard. The construction had to be shown and the function had to be clarified by the form. Thus, the naked truth comes to the surface. Indeed, this standard can work out in an aesthetically very satisfactory way. It is undeniably true that the functional focus produces its own beauty. Plenty of buildings from this school are very enjoyable, such as works by Mies van der Rohe or Frank Lloyd Wright. But at the same time that immaculate functionality has something brusque over it. And in response to that, a desire for ornament and decoration comes up again. De Swaan notes that such is true for instance for many Turkish and Moroccan, Surinamese and Antillean Dutch. They install themselves in our straight, unadorned houses, but as soon as they get the opportunity, they put in some arches in the hall or they plaster the living room with profiles. 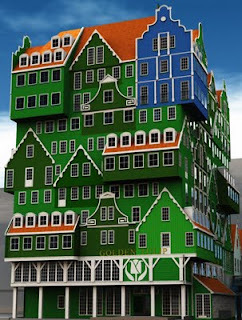 Into that trend now join the Zaandammers with colored collages of Dutch gables. The risk to end up in full scale kitsch is obviously big, and I am, despite my cheerfulness, not quite convinced that in Zaandam that is not going to happen. But, as Joep Schrijvers recently said, it is brutal, and over the top. Whatever the effect will be, they dare. In that risky jump there is more at stake than just nostalgic longing for the past. There is also a kind of resistance against the modernist taste dictate. Because while one may enjoy the functional clarity thereof, its cerebral nature causes alienation. It can, in its ruthless austerity, a totalitarian character. The urban visionary Charles Landry was in Amsterdam recently and told that, if you want to create connectedness with a place, senses and emotions must be allowed to compete with technical and functional qualities. If necessary beyond the point of functionality.